It seems the two bilyonaryos share a love for single malt whisky. 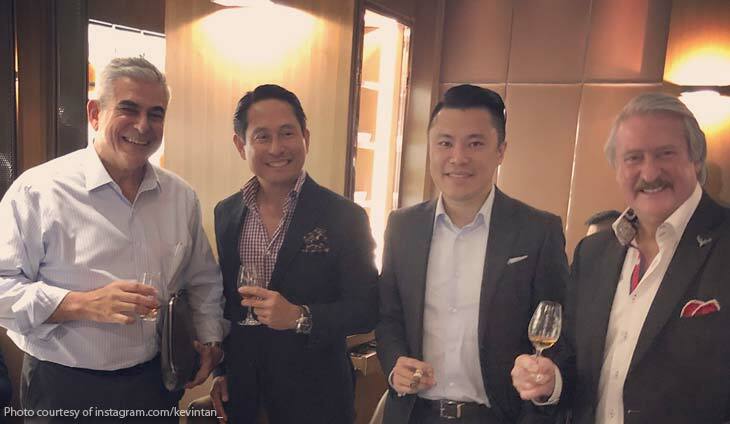 Ayala Corporation chairman and CEO Jaime Augusto Zobel de Ayala and Alliance Global Group CEO Kevin Tan are enjoying their R&R at The Dalmore Cigar Lounge at UP Town Bonifacio. ?Fun evening with these fine Gentlemen and the legendary Richard Paterson at The Dalmore Cigar Lounge at @uptownbonifacio_? @kevintan_ said. Cheers, sir JAZA and Kevin! The Alliance Global Group CEO is chilling in the beautiful country of Colombia. We all want the perfect selfie and won't stop 'til we get the perfect shot. Andrew Tan II looked oh so dapper with his suspenders.